Dengvaxia (CYD-TDV), first dengue vaccine is a live recombinant tetravalent dengue vaccine that is indicated as a 3 dose series of 0/6/12 month schedule invented by Sanofi Pasteur. CYD-TDV and DENVax are expected to lose market share to the domestically-produced live-attenuated vaccine, TV-003 due to its lower price. Today dengue resides in 125 countries around the world and Aedes aegypti, the primary vector is everywhere, making transmission reduction is the major area of concern. According to WHO, number of deaths caused by dengue virus was 297, 873 in 2012 and 159 per million in low income, lower-middle income and upper-middle income regions. 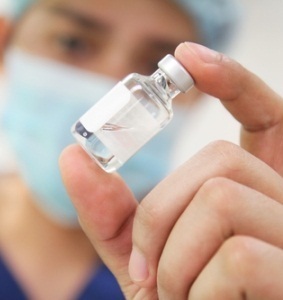 The global market for dengue vaccines holds the opportunities for drugmakers when the will be able to successfully develop effective vaccines for all age group. The major growth driver of Dengue Vaccine Market is the process of urbanization. Merger & acquisition is the key strategy for the vendors of dengue market, for instance, Sanofi “Be a Wall against Dengue” disease education campaign to raise awareness on dengue prevention in Singapore, launched under partnership of Pasteur and Ya Kun Kaya Toast in conjunction with ASEAN Dengue Day (15 June 2017). Similarly, Takeda pharmaceutical company and Biological E. limited entered into a partnership for the development and delivery of low-cost combination vaccines. There are 5 vaccines in Phase I-III and 4 first-in-class vaccines in pipeline assessment. Global dengue vaccine market valued USD 0.22 billion in 2016 and is expected to reach USD 1.15 by 2024 at a CAGR of 17% over the forecast period. Government Institutes dominate the global dengue vaccine market, accounting 45% market share in 2017 and is expected to account for 52% global dengue vaccine market share by 2024 followed by hospitals, diagnostic labs and NGO’s. Geographically, more than 70% of global dengue vaccine revenue was emanated from APAC in 2016. Countries like Brazil, Mexico, Thailand, Singapore and India are the leading market for dengue vaccine. In America, around 500 million people are at the risk of getting dengue. The key driving factors of global dengue market are increasing dengue fever occurrence, promising end stage vaccine pipeline, local production of dengue vaccines and innovation of live attenuated tetravalent dengue vaccine. However, less number of skilled professionals and unavailability of optimum diagnostic systems where dengue fever is visualized as a common febrile disease have driven the global dengue vaccine market. Unplanned and uncontrolled urbanization, stiff competition among existing players, high possibilities of side effects, lack of basic amenities in communities, poor environmental management, and climatic change hinders the global dengue vaccine market. In addition, supply side infrastructure bottlenecks such as surveillance system, standardized diagnostics practice, and cold chain systems for storage of vaccine in resource constrained countries are the restraints responsible for the decline of global dengue vaccine market.